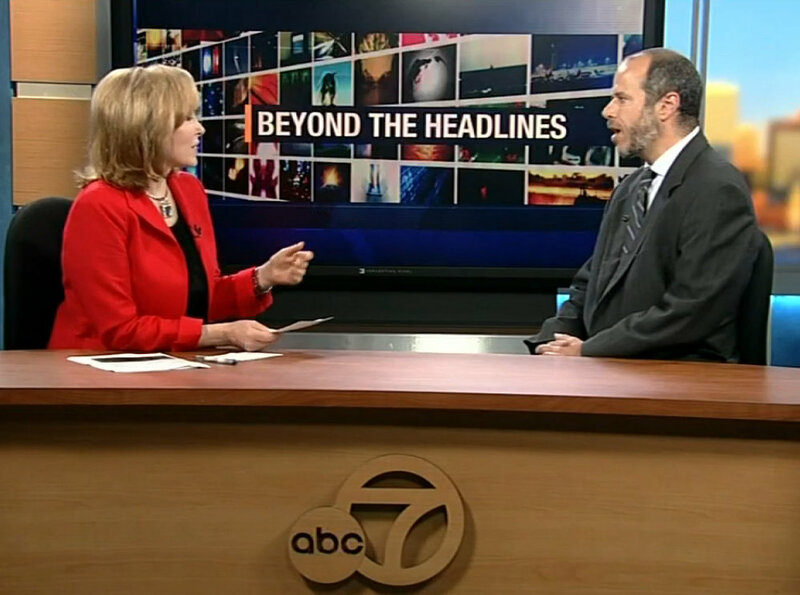 ABC 7 news anchor Cheryl Jennings talked to some of San Francisco’s key city officials and advocates about Vision Zero, the campaign to eliminate traffic deaths by 2024, on her show “Beyond the Headlines” Sunday. Pedestrian and bike safety was the theme of the half-hour show, during which Jennings interviewed SFMTA Director Ed Reiskin; the family of Dylan Mitchell, who was killed on his bike by a truck driver in the Mission; SFPD Traffic Company Commander Mikail Ali; and Cheryl Brinkman, vice chair of the SFMTA Board of Directors. Jennings also spoke with Caltrain spokesperson Christine Dunn, who addressed the issue of deaths at railroad crossings. The show begins with a segment featuring Walk SF Executive Director Nicole Schneider, who explains why streets like Van Ness Avenue are so dangerous. It’s a great overview of street safety in SF, especially for folks just getting introduced to the issues. This is great progress, but they’re using all the wrong words. If I hear “expert bicyclist” again, I swear. But “bicycle fan” was by far my favorite. The only way to make SF safer is to underground cross-city vehicular traffic lanes, and reduce surface street speed limits to 15mph. Mayor Lee is not on-board with Vision Zero. He barely even pays lip service to it. Please vote him out of office next election: Anyone – a Republican, Green, or other Democrat would all be better than Ed Lee. If SFPD is going to start ticketing pedestrians for entering crosswalks with red blinking hand with 25 seconds left on the countdown, this will be on SFMTA. The blinking red timing seems random. Sometimes it is appropriate for a disabled nonagenarian, whereas other times, it is appropriate for the other 90% of pedestrians out there who don’t need an eon to cross. Most of the streets in SF were laid out when traffic volumes were much lighter, speeds much slower, and “jaywalking” was not against the law. Perhaps a “redesigned” model for streets should include pedestrian crossings at 200-300 food intervals (rather than 400-600), and mandating minimum 10-15 foot sidewalk widths – “restoring the balance” to how things were before the ’50s car-centric culture became the norm.